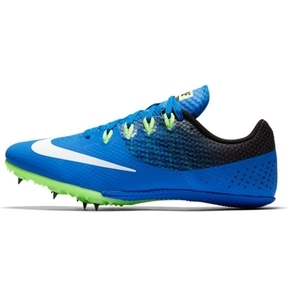 Updated for an ultra-lightweight, locked-in fit Men's Nike Zoom Rival S 8 Track Spike is designed with the sprinter in mind for events ranging from 60m to 400m, including hurdle events and the long jump. Flywire cables locks down the midfoot. Pebax® plate with 7 removable spikes for maximum propulsion. Spacer mesh delivers ventilation in a lightweight package. Nanoply material covers the spacer mesh for a seamless interior.